It seems Dhanush is not the only protagonist in Vetrimaaran’s ‘Vada Chennai’, which is to be made in two parts. For, it is learnt that the team has approached Jiiva to play the second hero. If sources are to be believed, Jiiva’s role is said to be almost at par with that of Dhanush’s and the ‘Siva Manasula Sakthi’ actor is juggling his dates to be part of the movie, as he is occupied with other projects as well. 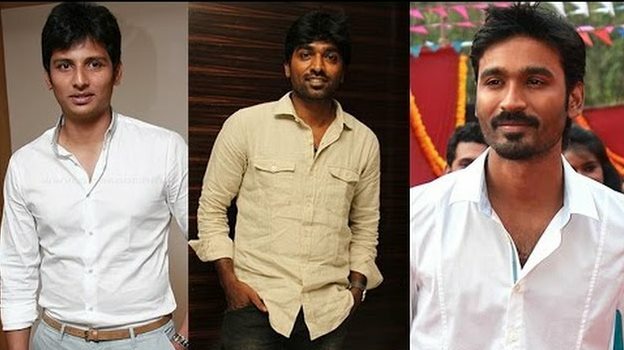 Meanwhile, another grapevine has it that the film would actually have three heroes and Vijay Sethupathi will be the third one. But there is no official confirmation about this so far. Samantha will be the heroine of ‘Vada Chennai’, a dream project of Dhanush and Vetrimaaran. The actress will play a woman living in a Chennai slum in this flick and has been doing homework to get her act right.